organic gardening | Digging for Victory! 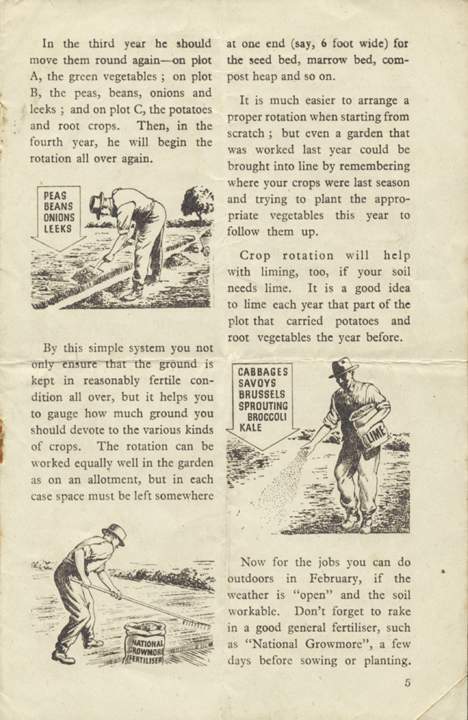 Mr Middleton says ‘Digging is what you make it- a pleasant, healthy recreation, or a painful ordeal. 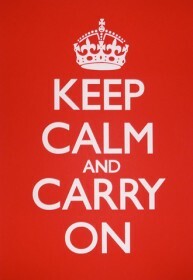 Hasten slowly. January 1st Week. Prepare your cropping plan. 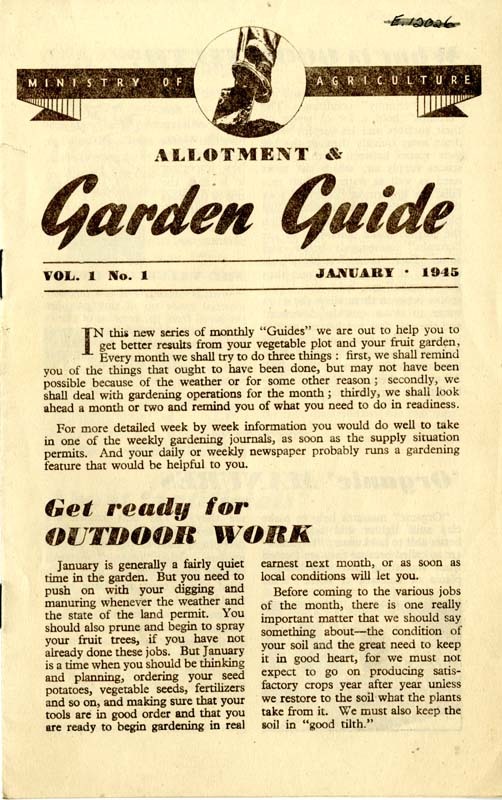 See Wartime Advice for the monthly Allotment & Garden Guide for January. I feel sure that had Mr Middleton been alive today he would have used Word 2007 as well so no apologies there! 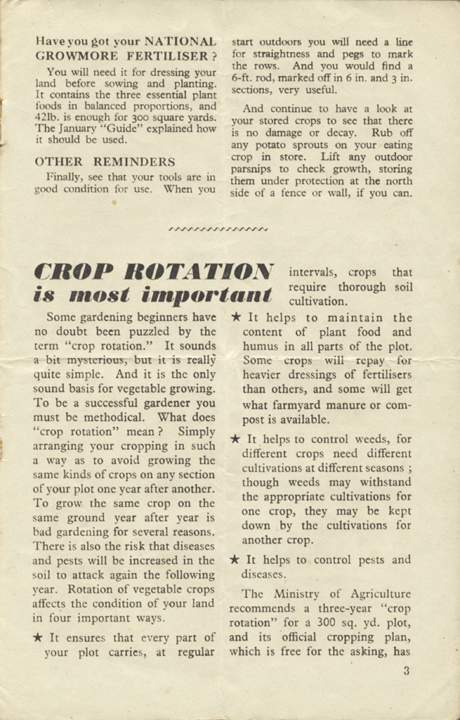 I have rotated my crops round from last year trying to make sure that this years crop is growing on a favorable piece of ground from last year ie. last years onions will have this years peas & beans as an example. 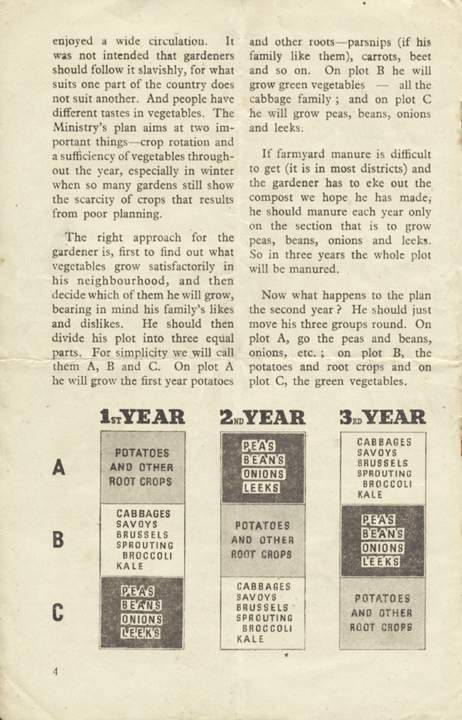 The rotation of crops is further method of organic gardening; a principle i try to adhere to.